A world of fickle agents, “babushka-style” interior decoration and uncontrollable prices awaits the apartment-hunter, so it is crucial to be aware of the issues. 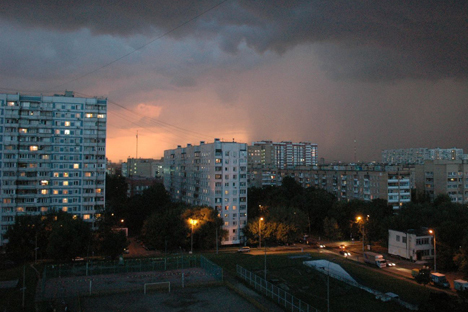 Rental rates for apartments in Moscow typically rise by 5-10 percent per year. This means that if today you take a one-bedroom apartment near the Moscow Ring Road for $1,000 (35,000 roubles) per month, you should not be surprised if in a year, when you move out for some reason, this apartment is valued by the realtor at $1,100 , and two years later - at $1,210 . The trick is that prices usually do not increase for permanent tenants who rent an apartment for more than a year. A friend of mine has been living in a one-bedroom apartment near the Sokol subway station for 10 years and still pays rent equivalent to 2004 prices – $560 (20,000 roubles) per month. Now all you can get for that price is a room in a three-room apartment in the suburbs. These are the cheapest apartments in Moscow - they cost about $790 (28,000 roubles) per month. Prices for higher class apartments start today from $1,130 (40 000 roubles) - for this money you get a convenient location near the metro, modern appliances, furniture, intercom and not even the slightest hint of Brezhnev. UPD: When I published this blog, my disgruntled friends sent me a lot ofcomments. It turned out that I forgot the most important part - to publish a picture of me in my apartment. Here I am!